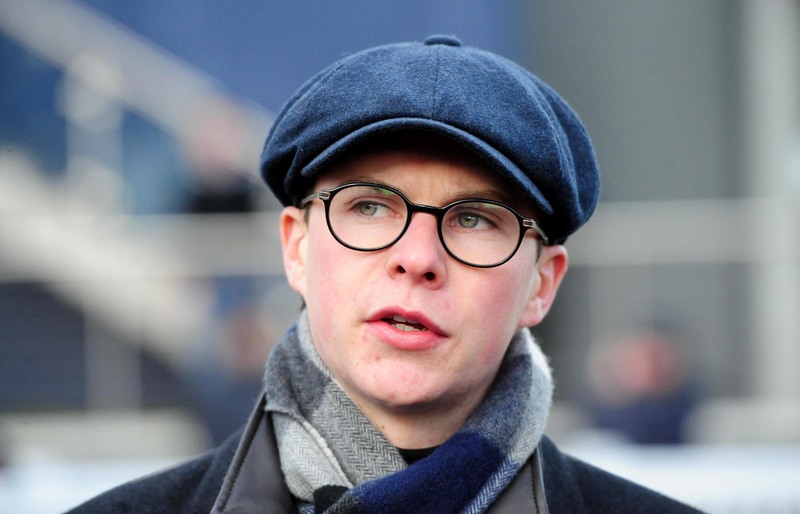 Joseph O’Brien has identified the Derrinstown Stud Derby Trial as a likely next target for his Leopardstown maiden winner Buckhurst. The Australia colt made a successful debut at the Dublin circuit over the weekend when narrowly beating Jack Yeats – trained by Joseph’s all-conquering father, Aidan. O’Brien junior said in the immediate aftermath his charge may run next in a Derby trial to ascertain whether he is up to having a tilt at Classic glory during the summer. Speaking at a press morning at his yard on Tuesday, he confirmed that a return to Leopardstown for the Derrinstown is the target. O’Brien said: “We thought last year that he was pretty good, but he had a setback and pulled a muscle. “I’d imagine he’ll go for the Derrinstown Derby Trial at Leopardstown now, but obviously he has options across the water too. “He is a little bit behind – he has only had one lifetime start. If he happens to make a Derby it would be great, but we won’t force him. “He is probably going to meet Broome at Leopardstown, and that would be a big ask on his second ever run. Another horse for whom O’Brien holds Classic ambitions is Iridessa. 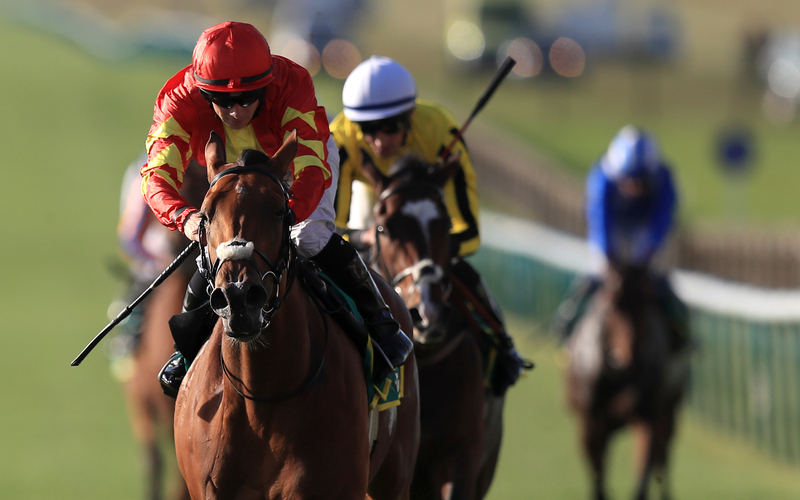 Having rounded off last season with a Group One success in the Fillies’ Mile, the daughter of Ruler Of The World finished third behind the impressive Lady Kaya on her return to action in last weekend’s 1,000 Guineas Trial. “Iridessa will probably go to Newmarket for the 1000 Guineas, and we’ll go from there,” said O’Brien. “We’ll see about the Oaks. Her grand-dam (Starine) was probably a mile-and-a-quarter filly, while Ruler Of The World was obviously a mile-and-a-half horse. Cimeara won at Group Three and Listed level at Leopardstown last July for Jim Bolger, before changing hands for 500,000 euros. O’Brien was relieved to see his new recruit pick up where she left off when landing the Listed Noblesse Stakes at Cork on Sunday. He said: “It was nice to get her to win. Obviously she was a Stakes winner before, but it was nice to get her started like that. “She could go for the Saval Beg now or something. I’d say she will have to take on the boys now as well. King’s Field won three races for O’Brien in the Sun Bloodstock colours last season and was last seen running in Dubai in January. Stablemate Cava has not been seen in competitive action since finishing third in the Grangecon Stud Stakes last July, however. O’Brien added: “King’s Field is one of the worst home workers that I have in the yard. He is rated around 105 now, and we will probably train him for the Hunt Cup at Royal Ascot. O’Brien has enjoyed a staggeringly impressive start to his training career – enjoying Melbourne Cup glory and Cheltenham Festival success to go with his multiple Group and Grade One triumphs. However, the softly-spoken trainer is not resting on his laurels. He said: “I didn’t expect to have the success that we have had. I didn’t even dream of having the big winners that we have had. It has been unbelievable – so it’s all downhill from here! “I’m in a seriously privileged position and I have a great team around me. When I came here we only had 12 or 15 horses riding out. We work hard and we have a great team who take pride in what they do every day. “We have 180 horses now – and February, March and April are our busiest months. Once we get over Punchestown, it will quieten down a little bit because the jumpers will head out. We have some jumpers for the summer too, but it will slacken off. Comparing training to his distinguished riding career, O’Brien added: “I get a far bigger kick out of training a winner. So much more goes into training than riding, although it’s slightly different for me because when I was riding for dad I was riding all the work on the bigger horses a few times a week. “I’d be far more nervous watching a race than I was riding. I still ride work on a Sunday, but I don’t miss it.